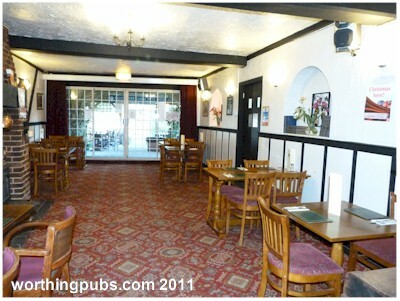 Originally the site of 'an old house' belonging to John Monk who died in 1756. 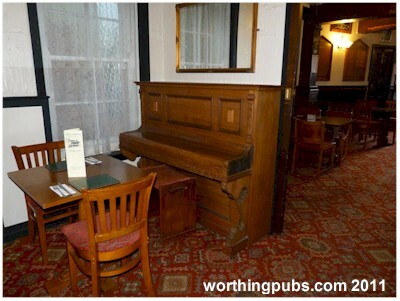 In 1851, the property was owned by Thomas Gibbard who took in a lodger by the name of Thomas Luff. 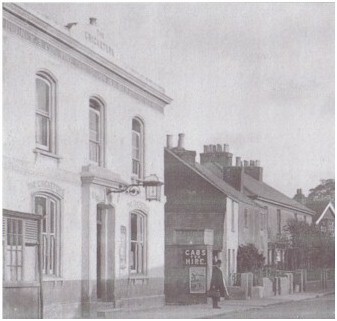 By 1853, Mr Luff owned the property becoming a brewer and the property a beer house. He remained in the property until 1876. 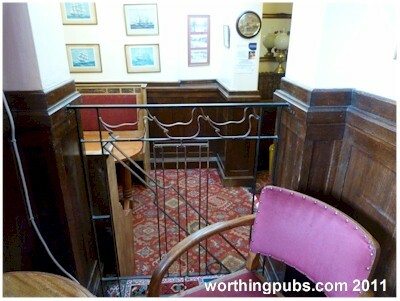 It was during this period that it became the Brewers Arm's and was restyled in the classic Victorian pub mould. 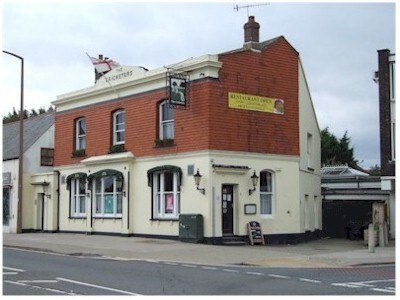 Renamed the Cricketers in 1878. 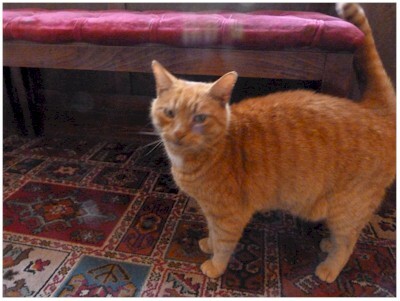 This is Percy who recently adopted the Cricketers as his home - not bad for a dog friendly pub! 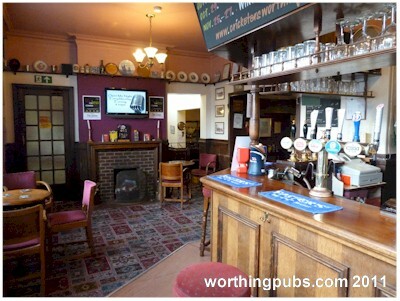 The Cricketer’s is not a themed pub, it has always been the home of the local cricket team - the memorabilia is real for a change. 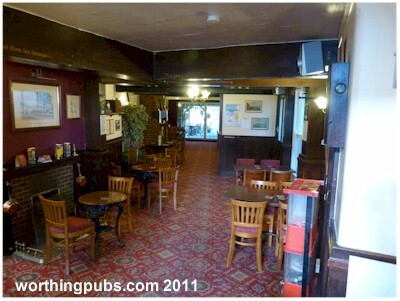 The pub is deceptively sized. 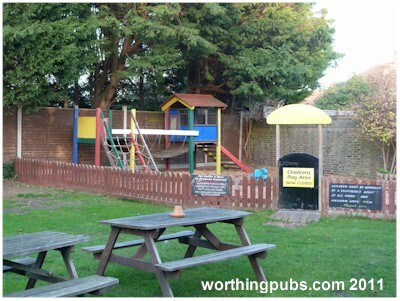 From the outside, it appears limited but it stretches back a considerable distance and has a large rear garden with children's play area. 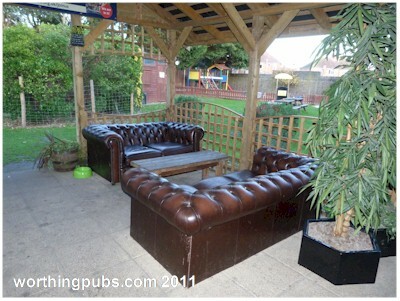 The garden is used for BBQ's and Real Ale Festivals. 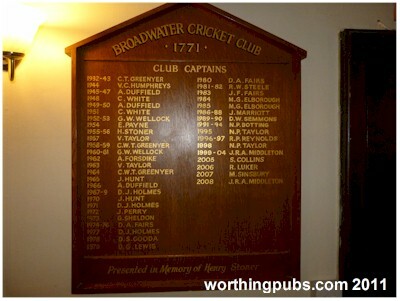 2004 - Alan Walker Perhaps one of Worthing's most memorable characters was Wilfred Page of The Cricketers, who was often referred to as one of the finest landlords Worthing ever had. 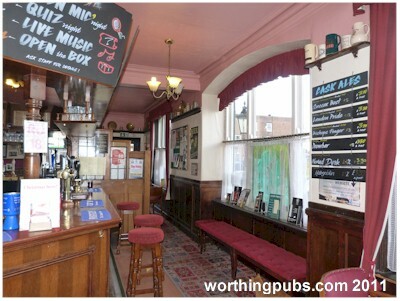 A man who took pride in not just his pub but also in Broadwater. 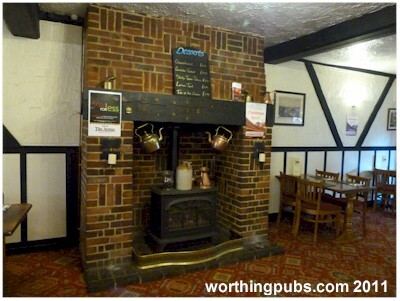 He is still celebrated to this day with the 50th Wilf page supper at the John Selden in 2009, an event attended by many of our local landlords. 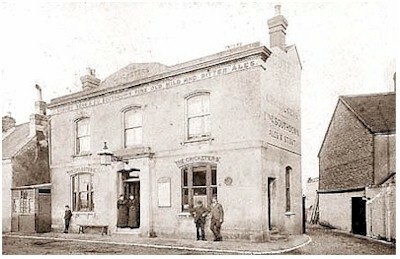 The Cricketers had been in the Page family for around 100 years.